Beautiful GENOVA model that is truly like new w/FULL Solar Electric system. 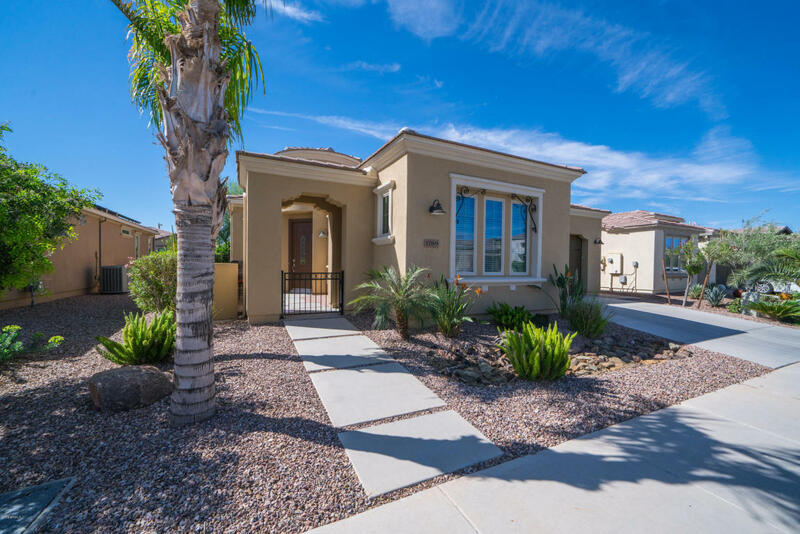 This pristine home is a rare gem priced for immediate sale - absolutely one of the best values in Encanterra today - bar none. Features a 2car garage and separate GOLF car garage. A Gourmet kitchen with upgraded staggered maple cabinetry, SS appliances & gorgeous granite counters & custom tiled back splash. Beautiful tile flooring in all the right places w/carpet in the bedrooms. Plantation shutters create a custom look. Step out back and enjoy the custom water and fire feature, or practice your putting skills on the putting green. The yard is surrounded by mature trees for added privacy. Start enjoying the ''Good Life'' at Encanterra today - Golf, Tennis, Pickleball, multiple Pools, Dinning, & full service Spa.